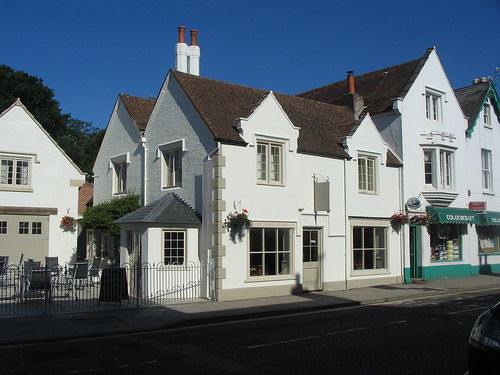 Number 9 is housed in a beautiful Grade II listed building and carries two AA Rosettes. The AA defines restaurants awarded two rosettes as "excellent restaurants that aim for and achieve higher standards and better consistency." Based only a stones throw from the Wimborne Minster Square and a few doors down from the Tivoli theatre it has two outside seating areas. Number 9 also has three fabulous B&B rooms that are decorated throughout in local company Farrow and Ball. Number 9 also has a smaller shop/cafe opposite the Minster which sells the award winning Long Crichel organic breads as well as patisserie and light lunches. Number 9 on the Green is open for tapas two evening in the week and is fully licenced.